In antiquity, the most valuable gems -- known as the cardinal gems -- were diamond, emerald, ruby, sapphire and amethyst. These were the gems most valued for their rarity, and the ones most associated with royalty, religious authority and magical powers. The only difference between this list and the more recent concept of precious gems is that amethyst no longer appears on the modern list. This is because extensive amethyst deposits were discovered in Brazil in the 19th century, and amethyst was no longer regarded as a rare gem. But the rich purple hue of amethyst retains its allure, and gem collectors still seek out particularly fine specimens. For the fact is, despite the large volume of purple quartz mined in South America, the vast majority of it is commercial grade material with a less saturated color. Fine deep purple amethyst is still fairly rare, though not especially expensive. The Zambian amethyst has acquired the reputation as some of the finest in the world due to its unusually rich color. 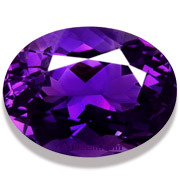 In fact the Zambian stones have such a saturated color that some material has to be rejected as too dark, a problem that rarely occurs with South American amethyst. However, the Zambian amethyst is mainly found in smaller sizes, with stones over 10 carats counting as very rare. The higher grades of Brazilian and Uruguay amethyst can match the Zambian material and we have seen top grade specimens from all 3 locations. With amethyst, it is always advisable to select the gem, not the location. Many amethyst collectors search out the deepest richest purples they can find. But while the darker purples are highly prized, you will find they are not as sparkly as the lighter stones. For a livelier stone, look for the medium to medium-dark tones. For a gem which was once regarded as precious as sapphire, amethyst is very affordable, even at the higher grades. Most fine amethyst is very clean and completely untreated and can be found in large sizes. It's quite a durable gem and is suitable for all kinds of jewelry. 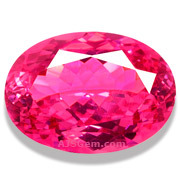 A gorgeous 2.78 ct pink spinel from Mahenge, Tanzania! A vivid deep pink, this rare spinel is completely loupe clean. Perfectly sized for an impressive ring. Guaranteed natural and untreated. 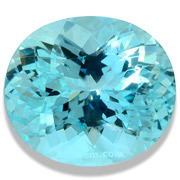 A lovely robin's egg blue aquamarine in a large size. Completely clean and expertly fashioned in a portguese cut for added brilliance. This fine gem will set up beautifully in your jewelry design. Guaranteed natural and untreated. An impressively large citrine with a bright open color. 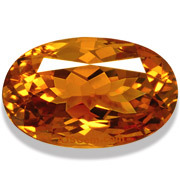 Beautifully cut and completely clean, this fine citrine will make a gorgeous pendant. Guaranteed natural and untreated. An excellent large amethyst from Uruguay in a rich deep purple. Completely clean and nicely fashioned in a portuguese cut for more sparkle. Perfectly sized for an impressive ring or pendant. Guranteed natural and untreated. A very fine Mexican fire opal in a hard-to-find round shape! 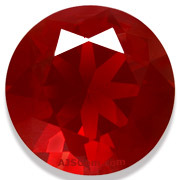 This large gem (14 mm) has a deep orange-red color with excellent clarity. Precision cut with a fine polish, this impressive opal will set up beautifully in your jewelry design. Guaranteed natural and untreated. A lovely pink morganite in a perfect ring size. Very clean material that has been beautifully fashioned in a precision portuguese cut to maximize brilliance. Guaranteed natural and untreated. A 100.2 carat emerald-cut D color IF diamond sold for $22.1 million at Sotheby's recent Magnificient Jewels sale in New York. It is the largest perfect emerald-cut diamond ever sold at auction, and also the highest price paid at auction in New York for any colorless diamond. This approach would work for diamonds, but not for sapphire or other rare colored gems. Where diamonds can be found in every shape and size, finding a round blue sapphire that you love in the 10 mm size is likely to be very challenging -- there simply aren't enough sapphires in the market in that exact size and shape to give you the range of choice you would like. It is better to start by selecting the sapphire that you love, and then have a jeweler make a setting to fit the gem. Rare colored gems are not usually found in calibrated sizes, especially in larger sizes. They are unique products of nature, whereas the mountings are manufactured objects that can be made in any size.